During the 40 Days of Renewal, we expected our lives to become a bit quieter as we dialed back on our media influence and pressed more into God’s truths. Much to our surprise, the opposite occurred! Limiting the noise and distraction of TV, social media, and similar diversions, opened up a kind of noise that we had unintentionally become less familiar with. Our evenings are now filled with the banter of competition as we play board games as a family, the contagious laughter as Jim relentlessly tickles Peyton on the living room floor, silly voices as I read book after book with her, and joyful singing to the worship songs that we receive in text messages from the church. Participating in the 40 Days of Renewal has allowed us to redeem our time together as a family and be more intentional about investing our time into what matters most. Katelyn joined the MeadowBrook staff in November of 2014. She and her husband, Jim, have a beautiful daughter, Peyton. Katelyn serves as the Weekday Director. She is a graduate of Auburn University with a degree in Early Childhood Education. 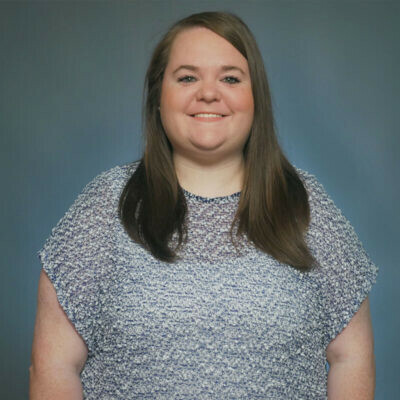 Katelyn has had several years experience in working with children, and has a passion for investing in their physical, emotional, and spiritual well being. She is grateful for the opportunity to demonstrate God’s love to each child in their daily life.